We need young people to fall in love with technology. I don’t mean devices. Lots of kids — adults, too, of course — are obsessed with their mobile phones, tablets and game consoles. I’m talking about the technology skills that will continue to transform the way we work and live: computer science, data analytics, robotics. We need young people to become passionate about these subjects and comfortable incorporating them into their daily lives, because their livelihoods depend on it. By 2020, nearly eight in 10 jobs will require some degree of technological skills. Our economy depends on it, too. A half million jobs in computing are currently open with an estimated 1 million more computing jobs than applicants who can fill them within the next year. How can we get young people excited about developing technology skills? Parents sit with their children to read them books from a young age, but when kids hand over their iPads, parents often walk away knowing their kids will be distracted by the screen for a while. When we teach technology, we need to think about creating more personal connections by sharing stories, sparking imaginations and making learning both fun and real. That may be easier said than done. Our recent PwC study, conducted in conjunction with the Business-Higher Education Forum, found that while educators strongly support teaching technology, very few — just 10 percent — feel confident doing so. More often than not, classroom lessons in technology are passive: watching videos instead of making them, or browsing websites instead of creating them. According to educator and digital and financial literacy advocate Genein Letford, as technology evolves, teachers need professional development, classroom curricula and resources to engage their students with technology actively and creatively. With this, they will be able to imagine its possibilities and impact. Genein is working with PwC to design effective tools for teachers. Before educators can teach their students about complex digital concepts, they need to understand those concepts themselves. 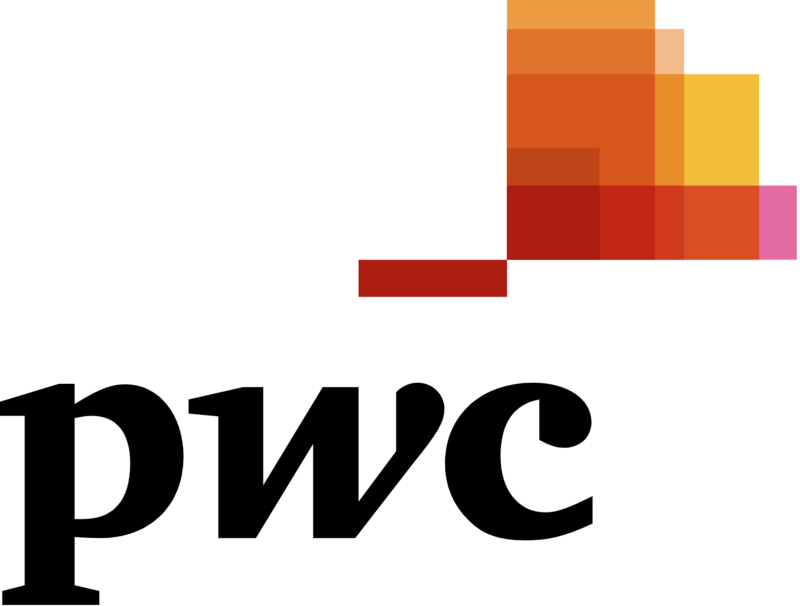 Through a collaboration with the PwC Charitable Foundation, we’re now giving teachers access to a customized version of PwC’s Digital Fitness app, a mobile platform that helps explain digital subjects to teachers. After they download the app, teachers complete a digital assessment that evaluates their current digital acumen. Then, they receive a list of recommended resources to educate them about digital topics, such as coding, data analytics and machine learning. “The Digital Fitness app opened my eyes to the quick advancement of technology and revealed the urgency of getting teachers comfortable with incorporating tech into their classrooms,” Genein said. We’re also bringing a life-size robot, CODE-E, into classrooms around the country, to help excite students about how emerging technologies can be used in their daily lives. Last month, I had the chance to watch Genein and a PwC team engage students with CODE-E at the Academy for Software Engineering in New York City. As part of the session, students imagined, with CODE-E, how they could solve a problem they faced personally in their school using technology. “Think about pain points you could improve at your school,” Genein said, urging them to focus on something practical they would like to change. The students got excited and immediately started churning out ideas: an app to let students know when a seat was available in the overcrowded cafeteria at lunchtime, an automated system to provide access to the restrooms and a digital system to check them in every morning so they could spend less time waiting in line and more time learning in the classroom. Their solutions were smart, creative and revealing. For these kids and many others in communities across the country, developing technology skills, along with other career-readiness and financial literacy skills, is particularly important in order to set them on a path to obtain some of the most critically necessary and best-paying jobs of the future. These are opportunities with significant growth potential that can promote economic mobility. To help students realize these opportunities, we have to connect them with technology in a personal way that gets them emotionally engaged in its possibilities to change real issues in their day-to-day lives. If training the future workforce is a fundamental role of education, it’s just as important a role for business. CODE-E is one of many elements of Access Your Potential, our commitment to help students in underserved communities gain access to financial capability and technology curricula; and to provide educators with the tools to help students learn about tech-based careers. The private sector has the unique insight, expertise and financial resources to provide the support that teachers across grade levels tell us they’re lacking, and the ability to try new teaching techniques with a fail fast and change quickly mindset. Though CODE-E has been a huge success, it didn’t start out that way from the get-go. The first time we brought CODE-E to a school, the students sat in their seats and listened to CODE-E talk at them, without much direct engagement. The students seemed bored and quickly lost interest. With that in mind, our teams revised the lessons to heighten the students’ empathy skills. They did this by enabling them to have a conversation with CODE-E and prompting them to think about how technology could impact their school life, which brought the robot into their reality. By our third school visit, the students were cheering and brimming with ideas when they left. The capacity to engage in conversation is what makes CODE-E seem almost human and, at the same time, reminds us — and the students whose classes it visits — that it’s a machine. One of the main concepts of this venture is exposure to possibility. Bringing CODE-E to these classrooms exposes the students to the possibility of more, of options they didn’t even know existed for them. That’s the first step, the beautiful first step, to seeing actual change in our students, teachers and eventually the school system as a whole. I wouldn’t be surprised if, not too long from now, a graduate of AFSE creates a robot with more sophisticated skills to help solve a problem or a pain point, in her workplace or in his community. Genein Letford and I are looking forward to that day.